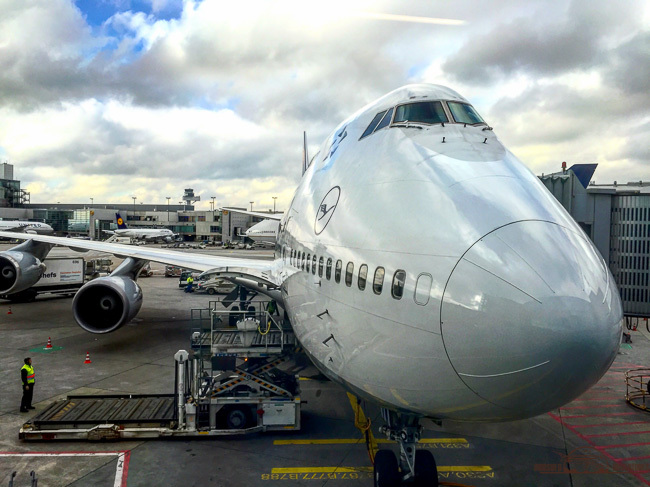 This flight review is for my trip from Frankfurt to Dubai flying Lufthansa Premium Economy on one of their recently retrofitted Boeing 747-400s. Premium Economy products have been around for a couple years now but this was my first time flying a true Premium Economy product (United’s Economy Plus, American’s Main Cabin Extra, etc. do not count). Situated between Business Class and Economy Class, Lufthansa Premium Economy Class offers a nice improvement to the flying experience but at the end of the day, is still more of an Economy Class product than a Business Class product. Lufthansa Boeing 747-400 parked at Frankfurt. 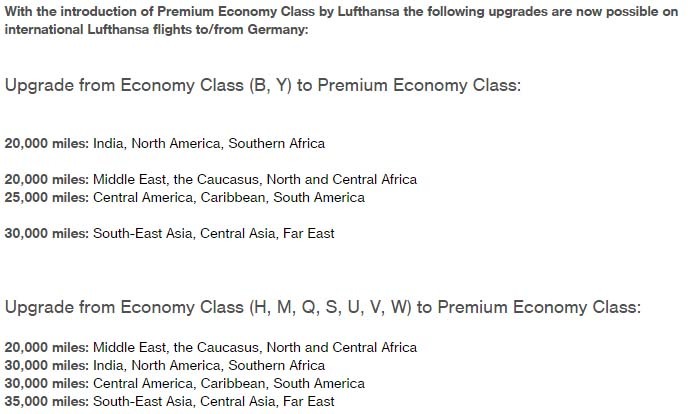 There are no award charts that allow for Premium Economy seats to be solely booked using points or miles yet but you can use Lufthansa Miles and More miles to upgrade to Premium Economy from a paid Economy Class ticket. The miles needed to upgrade depend on the fare class of the ticket purchased but I don’t really recommend you doing this as they seem a little excessive. For example, North America to Germany is 30K miles to upgrade (one way) if your ticket was purchased in any of the discounted economy class fares. If you really want to try out Lufthansa Premium Economy Class, you can either buy it outright or wait till the day of departure where they will regularly try to up-sale you from Economy Class. On my FRA-DXB-FRA flights, the gate agents were selling the upgrade for about 130 Euros each way. Thank goodness this was a complimentary upgrade as I don’t think I would have paid for it. On the ground, Lufthansa Premium Economy does offer a few perks but those DO NOT include priority or expedited check-in or boarding. However, you are allowed one extra checked bag (two total, maximum of 50 lbs per bag) and will have access to select Lufthansa Business Class Lounges for a fee (25 Euros). That’s it. About 10 mins prior to boarding time, I left the Lufthansa Senator Lounge and made my way to gate B25 where my bird was waiting. I took some pictures of the Boeing 747-400 and got in line to board. Boarding started with Business Class passengers and Star Alliance Gold members followed by Premium Economy and Economy Class passengers. On this version of Lufthansa’s Boeing 747-400 (version 2 on Seat Guru), Premium Economy is located directly behind the aft Business Class cabin. Premium Economy is in a shared cabin with three rows of Economy Class seats. There is a floating, mesh partition between Premium Economy and Economy Class but it’s kind of a joke. There are 32 Lufthansa Premium Economy seats configured in a 2 X 4 X 2 layout spread across four rows of seats. As a point of comparison, regular economy is configured in a 3 X 4 X 3 layout. Each Lufthansa Premium Economy seat offers 19 inches of width and a whopping 38 inches of pitch, compared to Economy Class seats with 17 inches of width and 31 inches of pitch. Lufthansa boasts that Premium Economy seats offer 50% more space than traditional Economy Class seats and I would definitely believe it. There are no divider screens between the seats but the armrests separating the two seats are about the same size as two regular armrests. Just think of it as a smaller version of a domestic US first class seat. On this flight, I was seated in seat 25K, a window seat on the right side of the plane. Waiting at my seat was a bottle of water, a small amenities kit, day blanket, pillow and a set of plastic headphones. Storage wise, your carry-on items can be stored in the overhead compartment or under the seat in front of you. Smaller items such as glasses and cell phones can be kept in the seatback pocket or the small shelf located underneath the IFE monitor. Each seat is equipped with a large, 11 inch, high-definition, IFE (in-flight entertainment) monitor, adjustable reading lamp, foot rest, USB port and universal electrical outlet. In the bulkhead row, the seats are designed with adjustable leg rests instead of foot rests. Pro tip: If you can select your seat ahead of time, I would choose the bulkhead row seats over the other seats as the leg rests are better for relaxing than the foot rests. The Lufthansa Premium Economy amenities kit is pretty nice. It’s a navy blue, canvas top-zip pouch with a mesh back. The faux leather, zipper pull and front logo are branded “Lufthansa Premium Economy.” Inside, there are eye shades, ear plugs, socks, a facial towellete and dental hygiene kit. No lip balm or facial products are provided but it’s still a nice kit overall. The pouch is simple, functional and can be re-purposed for future use. As we settled into our seats, the flight attendant came by with a pre-departure beverage of water or minty orange juice on a tray and presented us with menu cards. Sorry about the picture, I took a few sips of it before realizing I needed to take a picture first. As you can see from the menu, the food sounds pretty delicious right? Not knowing any better, you would actually think this was a Business Class menu or something. But don’t be fooled. The food items and selections were exactly the same as in regular Economy Class. After all the passengers were boarded, we pushed back from the gate and started our 5 hrs 50 mns journey to Dubai. It was a beautiful day to be flying. Once the seatbelt signs were turned off, the two flight attendants started our meal service with a beverage and packaged snack mix. After that, the flight attendants brought out our meals individually, restaurant style (not from a cart). I went with the chicken and spaghetti noodles. As you can see, this is the exact same meal served in Economy Class. The only difference is that the food item were served in porcelain tableware (except the main dish) instead of the plastic containers. And just like in Economy Class, all the items were presented on one tray (sans bread plate and all). As with all my previous experiences flying Lufthansa (Business and Economy), I have never found their catering to be anything special and this experience was no different. The spaghetti noodles were soggy and the chicken felt rubbery. The flavors were decent but I honestly prefer the economy class food on United over Lufthansa. After dinner, I took some time to peruse the entertainment system. First off, this monitor was just amazing. It was large, crisp and clear. As for the entertainment selections, there was a decent selection of newish movies, TV shows, audio entertainment and games to keep me entertained. The list wasn’t extensive by any means but will good enough to keep anyone occupied for 10+ hours. Now let’s talk about the seats. The seats are comfortable and are significantly better than traditional Economy Class seats. They are wide, have a lot of space around them and the recline is pretty amazing. But dare I say, there was too much recline. . . ? For me, having a significant amount of recline is a double-edge sword as it’s great when you are trying to get some rest but not so great when your neighbor up front reclines back into your lap. I was fortunate enough to not have anyone in front of me but the lady next to me wasn’t as lucky. The passenger in front of her reclined back immediately after takeoff and had to be woken up during meal service because she couldn’t possibly eat with his seat so far reclined into her lap. So as you can see, deep reclining seats can be a good thing but be careful which seats you pick. I would say if you don’t want to bother others and just recline back as much as you want, choose the last row of Premium Economy seats as there is a huge empty space between the back of the seats and the first row of regular Economy Class seats. But if you don’t mind people bumping into and pulling on your seat, I say choose the bulkhead row of Premium Economy Class seats with the leg rests. Approximately an hour before arrival, a light snack was served. There was only one wrap option for all passengers in Premium Economy and Economy Class. Overall, I was glad to try out Lufthansa’s version of Premium Economy. 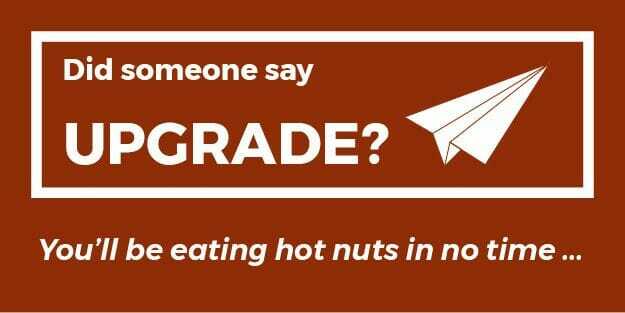 I have yet to try out any of their competitor’s products so I have nothing to compare it to but I don’t know if I would value the Premium Economy Class product that much over regular Economy Class. Yeah, the seats are great and the amenities kit is a nice touch but everything else (food, service, etc.) is just the same. So if I had to place a monetary value on it, I don’t think I would pay more than $150 to “upgrade” to Lufthansa Premium Economy on a 10+ hour flight. On anything shorter than that, I would just power through in the back with everyone else. It’s a good product but not great by any means. What do you guys think? Have you flown Lufthansa Premium Economy Class before? If so, please share your experiences with us in the comments section below. Here’s a short video detailing more information on Lufthansa’s Premium Economy product. United Airlines Boeing 777 Economy Class, Washington Dulles to Frankfurt.